Medicine bottles holding inhalation anaesthetic liquids at Auckland Hospital currently use an adaptor that replaces the original cap. This adaptor is then fastened to the system that feeds anaesthetic to the patient. The end of the adaptor has two small openings that allow for liquid to pass through. Problems occur when the bottle is not connected to the feeding mechanism, if the bottle is dropped or knocked it is very likely to spill medicine. It is also difficult to monitor use and therefore identify whether the bottle should be disposed of. A design opportunity arose for the DHW Lab to create a small lightweight clip that attached to the neck of the adaptor and easily fastened and unfastened. 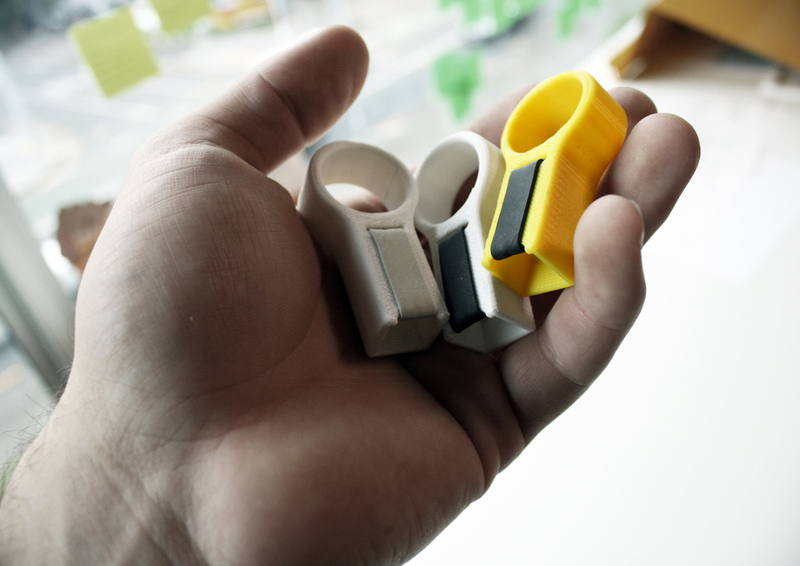 The design solutions consists of a small 3D-printed clip along with a latex-free rubber band that creates a seal over the adaptor to prevent leakage and suppress the need for existing cap. The clip can also be slotted sideways onto the bottle to indicate use.